Growing up I lived in the southwest mountains of California. Since my house was fashioned of thick stone that offered little in the way of lighting, I often found myself in the surrounding forests and cattle pastures for most of my days as a child. We lived off the land surrounded by blue skies, clean air, thickets, forest, streams, and the small garden where my mother grew seasonal vegetables for the table. This is where I first encountered healing and nourishing foods right from the earth. I remember eating sun-ripened tomatoes still warm from the sun straight off the vine and helping my grandfather look after his seasonal gardens. I have always felt a close relationship with the earth, preferring to walk barefoot outside when I can and taking in the healing rays of the sun. I aspire to learn about herbs and their usages, devouring books and other content by Rosalee de la Foret, Kiva Rose, Micheal Tierra, Rosemary Gladstar, Briggitte Mars, John Gallagher, and fellow aspiring bloggers. Right now, I’m studying at The Herbal Academy and the East West School of Planetary Herbology to become a clinical herbalist as well as the Aromahead Institute School of Essential Oil Studies to become a certified aromatherapist. I’m excited to share my journey with you as we delve into alternative health for mental, physical, and emotional well-being. • A repository of useful articles for aspiring herbalists like myself, how to eat healthy, and of course, how to get clear skin! These articles are aimed to help you obtain all the tips and tricks you need to have a successful journey to holistic health and acne free skin. • A collection of Youtube videos about natural health and my personal journey. • Fresh content that is added regularly, how-to instructional articles, and super handy topics on home remedies that anyone can make. 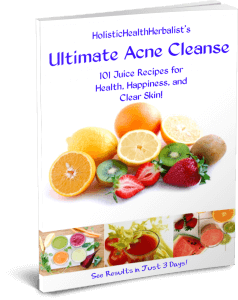 • A FREE eBook that kick starts your journey to clear skin! Also, don’t forget to join my newsletter if you haven’t already! 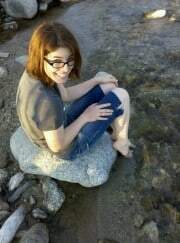 Be sure to send me your questions to tash [at] holistichealthherbalist.com I would love to hear from you!